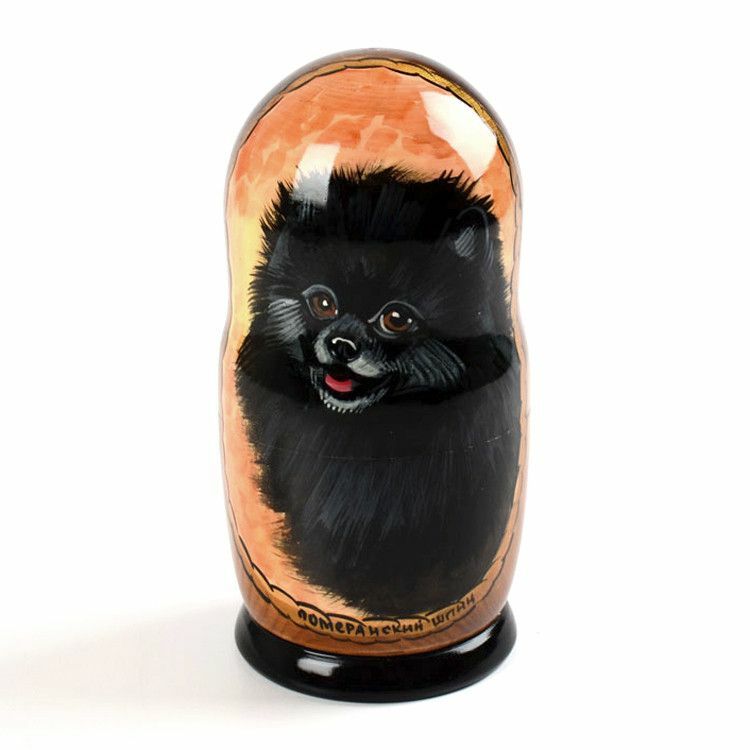 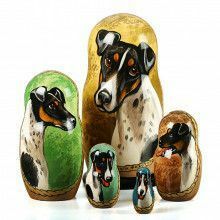 This Pomeranian nesting doll features 5 different paintings of the black Pom dog breed. 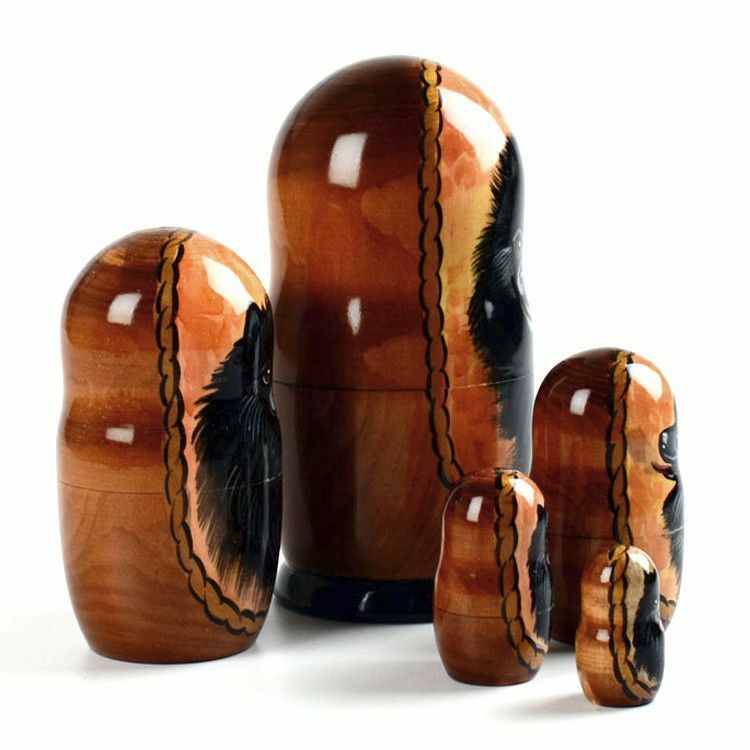 Each exquisite painting is bordered with a golden trim, and the rest of the doll is left unpainted, allowing the beauty of the wood to be seen as well. 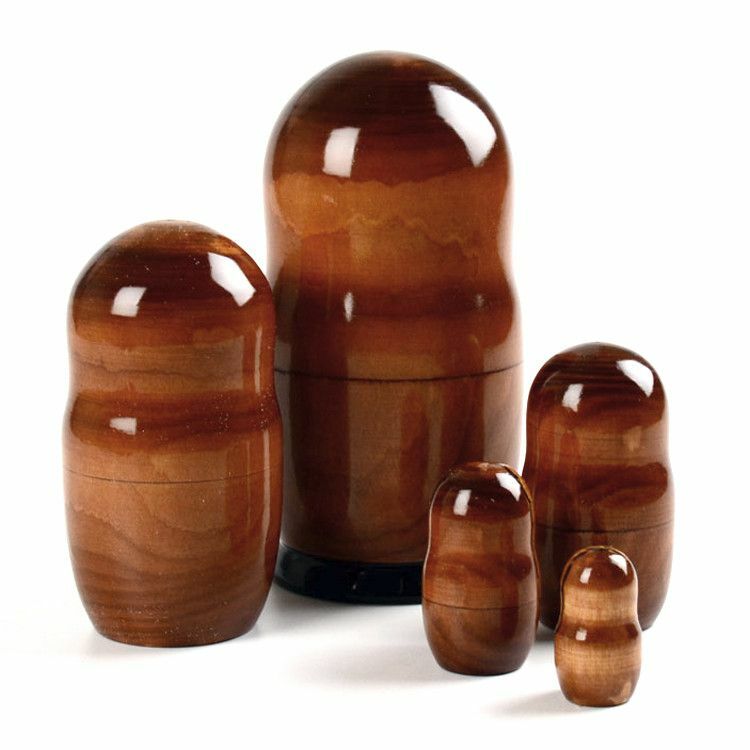 This particular stacking doll is about 6" tall and 3" wide. 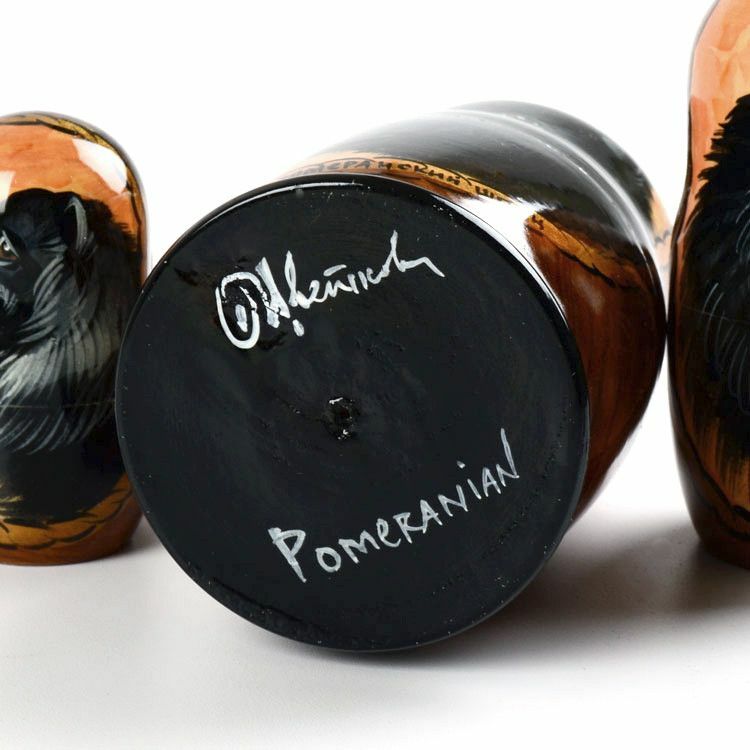 It has been gloss finished, and is ready to ship. 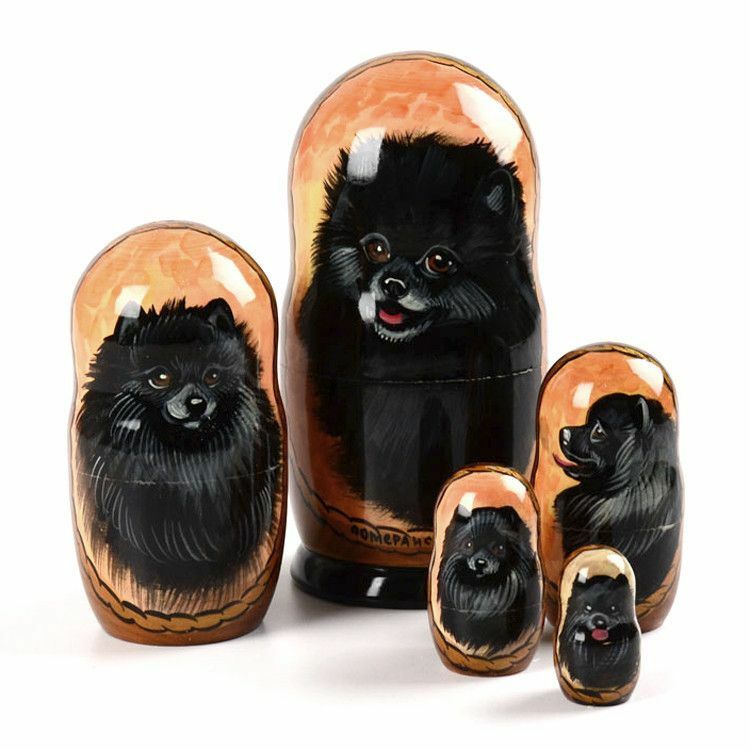 Surprise a black Pomeranian dog owner with this nesting doll gift today!